Do you know? you can play PokeMon Go without Moving Anywhere right from house (NO ROOT) . Yes, I’m playing this Game from without walking anywhere using this Fly Fake GPS PokeMon Go Hack Application. For this tweak, You don’t need to root your Android Phone. 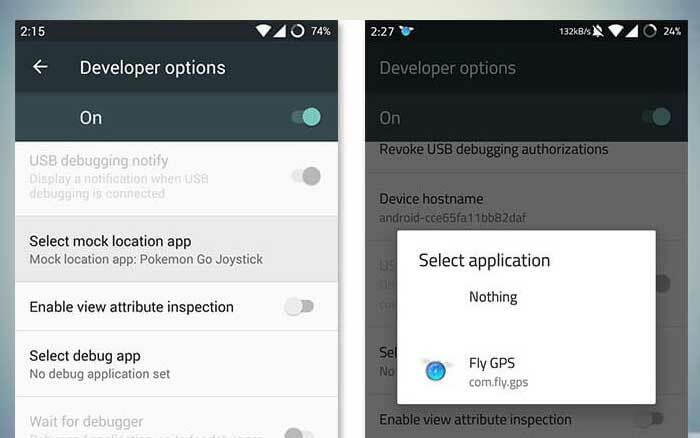 Without Rooting Your Android Phone, You can play the PokeMon Go using Fly GPS Joystick in the gaming screen. There is no doubt that Pokemon Go is the most downloaded app within a week when it is launched. More than 40 Million Download has been registered for the Augmented Interactive Reality Based Game. However, You have move around with your phone to catch the Pokemon. Also, The app is not released for all over the world. To overcome this limitation, you have use our guide to play Pokemon Game in India and other unavailable countries. Also, You can play Pokemon go Game while sitting in the car, Bus, train etc.. There are many Pokemon Go Hacks Android for Fake GPS Location Spoofer hacks available, but all of them not working right now with latest Pokemon GO 0.43.4 update. 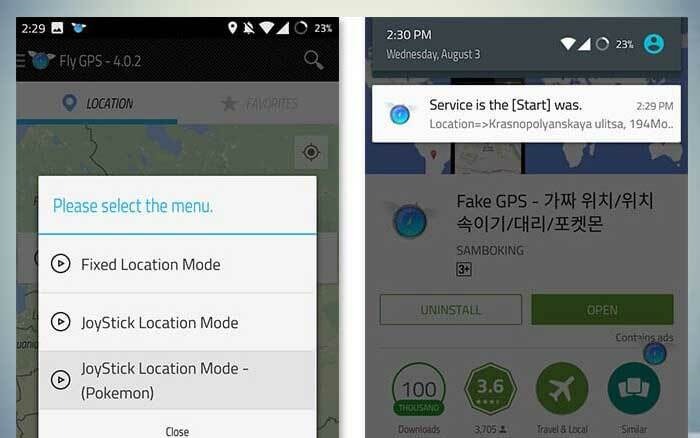 For those who want to play this game without moving anywhere, Use Fake or Fly GPS Location Spoofer app. We’ve created the Top 10 Best PokeMon Hacks, Cheats for Android Guide and included this hack. This method Can work in any Android Phones like Lollipop, Marshmallow without installing ROOT or any Custom Recovery. This Guide will help You to install Fake GPS Location that will allow you to use the PokeMon Go JoyStick to Play the game anywhere in the World even in India, China. Let’s take look at the Steps to Play PokeMon Go From Anywhere In the World. Download and install the PokeMon Go App and the Fly GPS App from the links above. To Use Mock Location, You should enable Android Developer Options in your Phone. For this in Your Phone go to Settings > About Phone >Tap Build Number for 7 times continuously. It will enable the Developer options in your phone. Then Go Back to settings > Developer Options > Select Mock Location App. Here Choose the FLY GPS as your mock location app. After that enable the GPS in your phone and set the High Accuracy Mode (Use GPS, Wifi, Bluetooth, Mobile Data). Now, Open the Fake GPS / FLY GPS App in your Android Phone and choose the any location in the World to Play the PokeMon GO game from there. After that Tap the Desired location and choose the “Please select Menu” Option. Now Click the GPS Service Run option which will open the Joystick options. There, Choose the “JoyStick Location Mode [Pokemon]”. Here, You Go. You can launch the Pokemon Go Game from your Android Phone and use the Joystick to move anywhere in the world. This method has some limitations like this guide can be used only in Android 6.0 and Up devices. Also, they may soft ban your Pokemon Account for few hours if they found the fake location. By using this PokeMon Hack for Android, You can quickly Gain XP Points by moving to crowd Pokemon area. Other than this., One can play this game from any country which the game has not been released till now or from rural area.